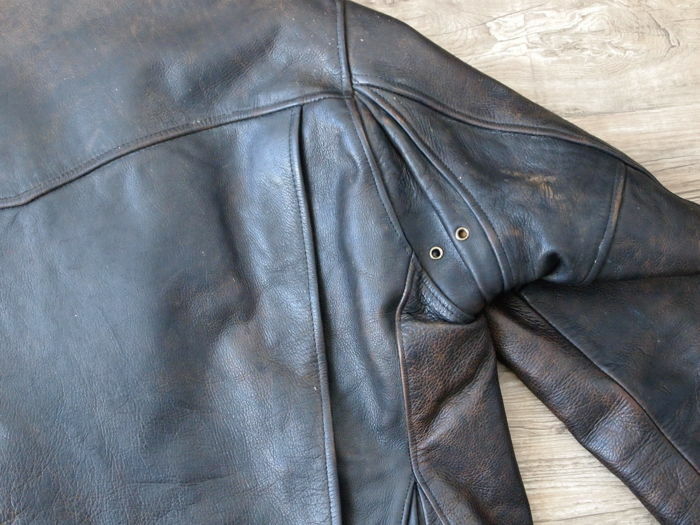 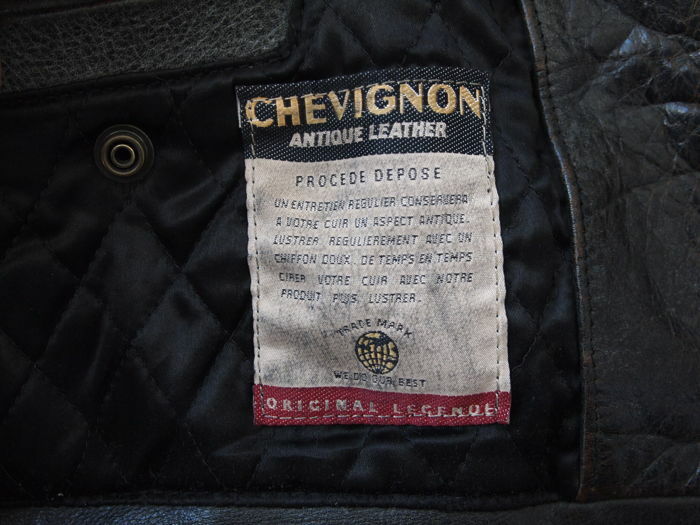 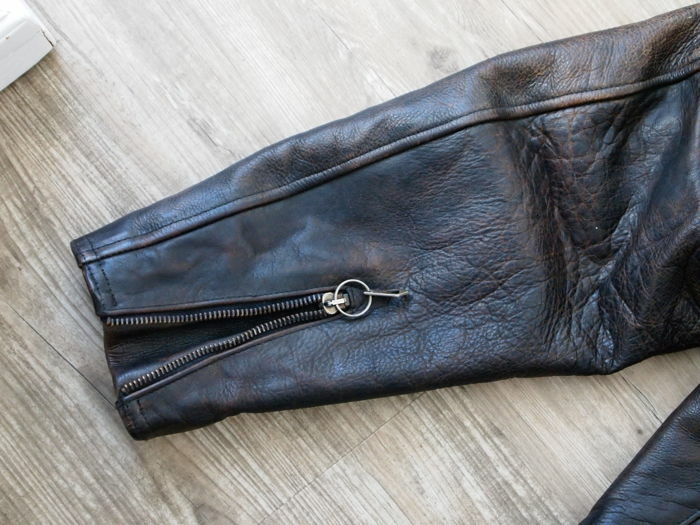 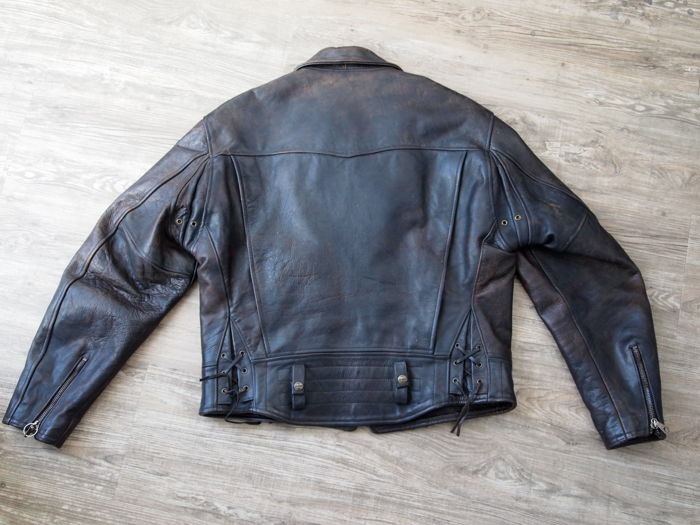 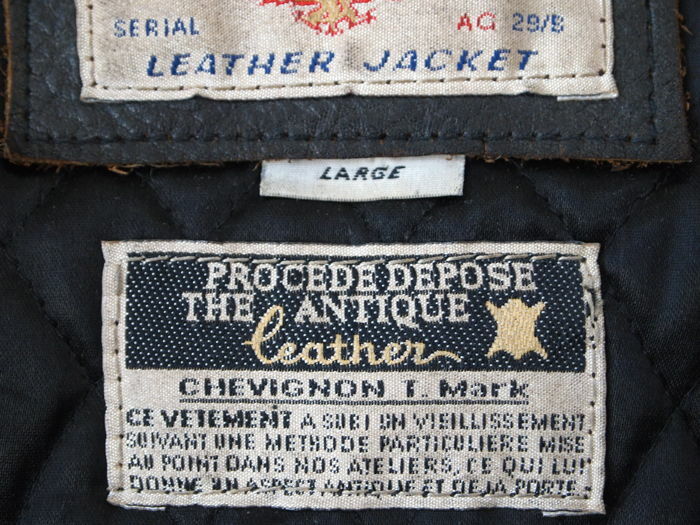 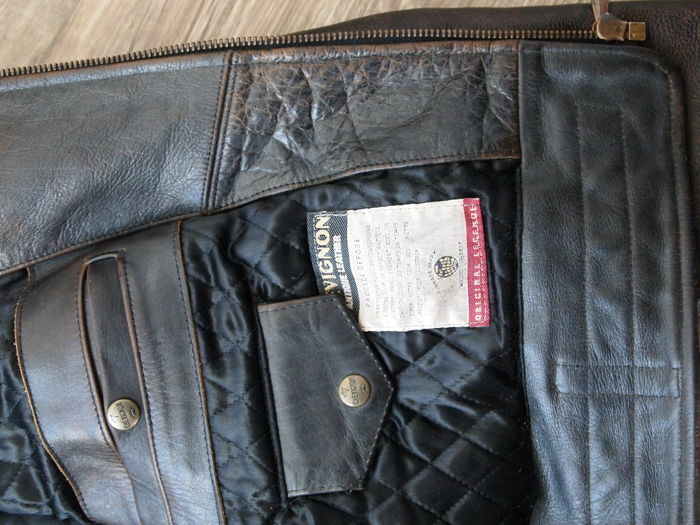 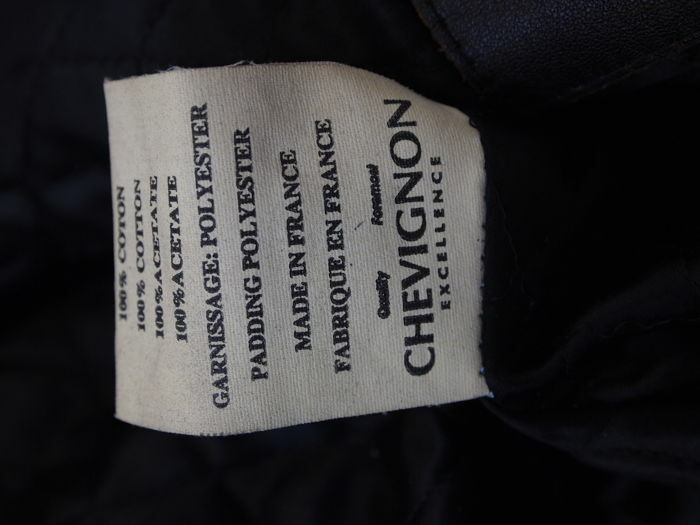 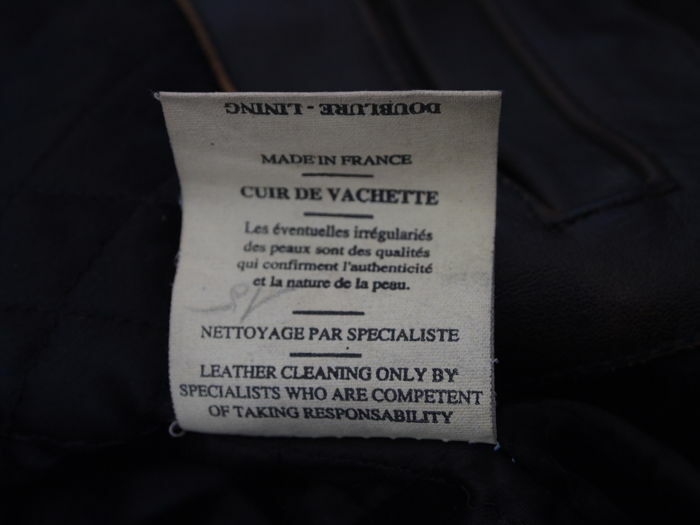 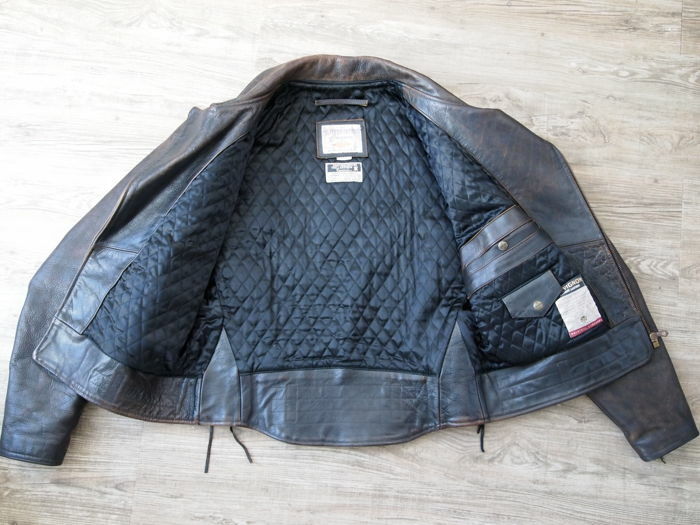 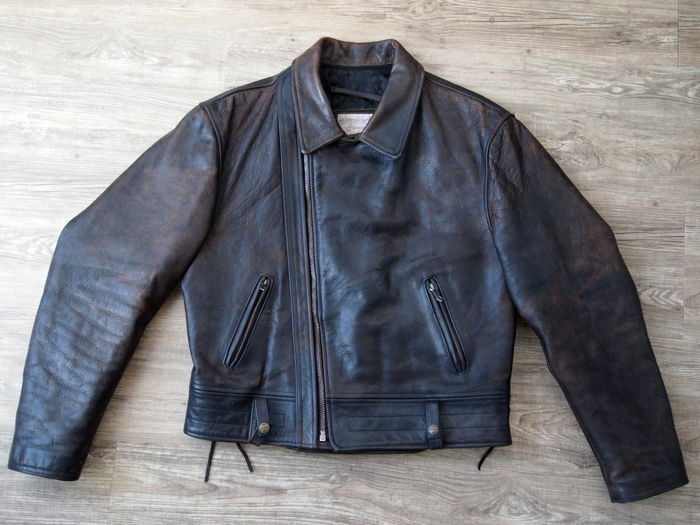 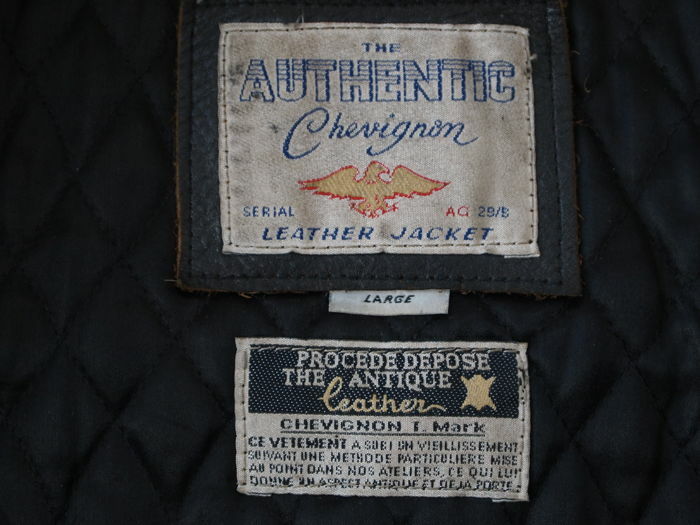 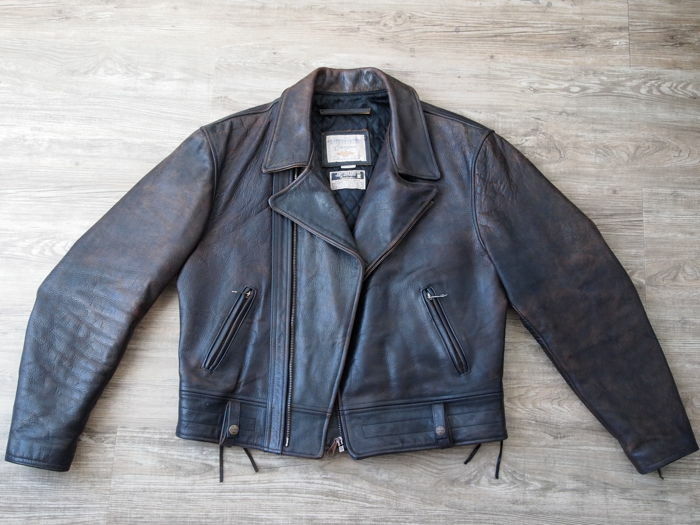 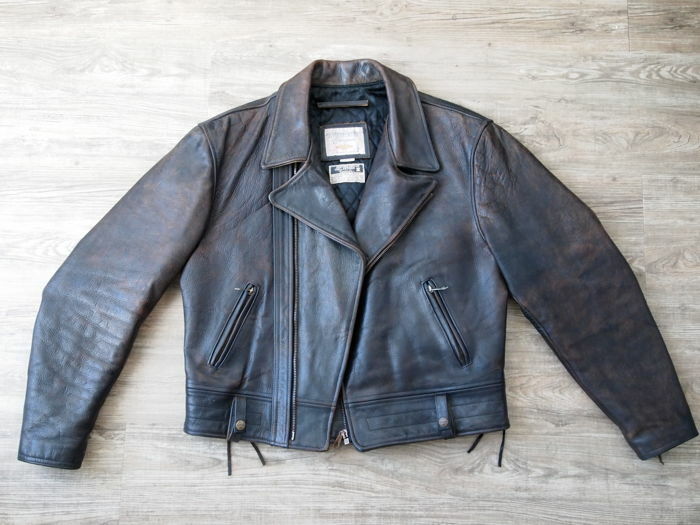 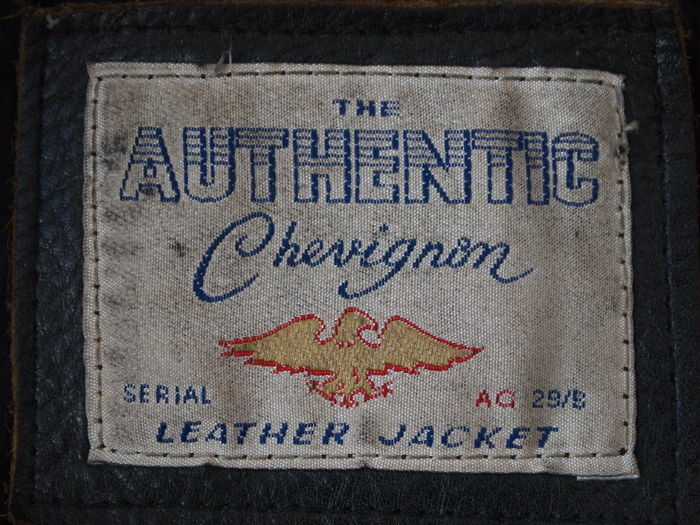 Very good looking Chevignon antique leather biker jacket in great shape in size L.
The leather looks real good and it has got that authentic vintage leatherlook . 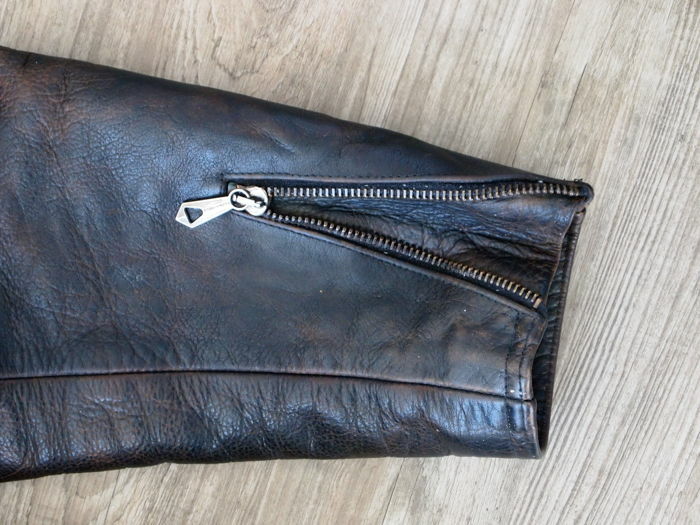 It has 2 pockets on the front and 2 on the inside it also has got ventilation holes under the armpits and zippers to adjust the arm sleeves. 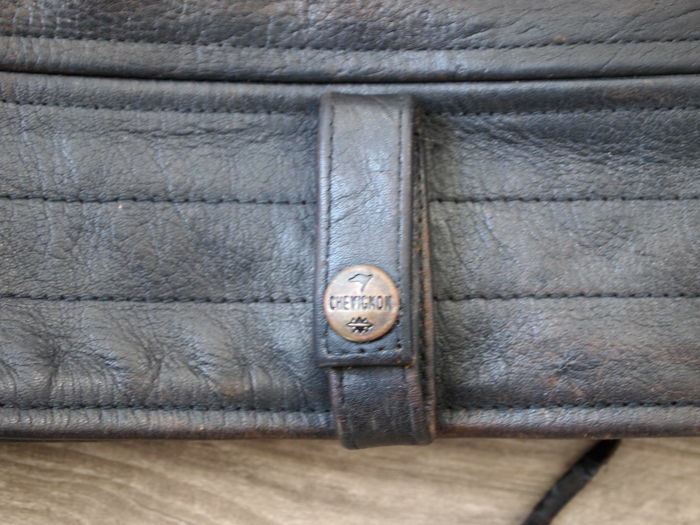 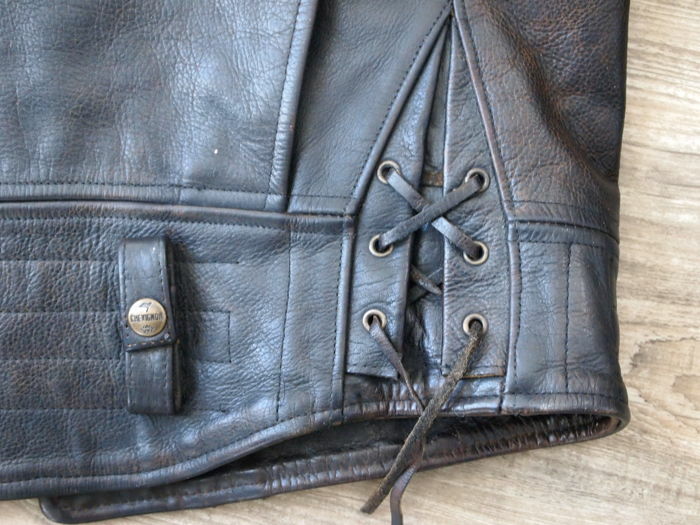 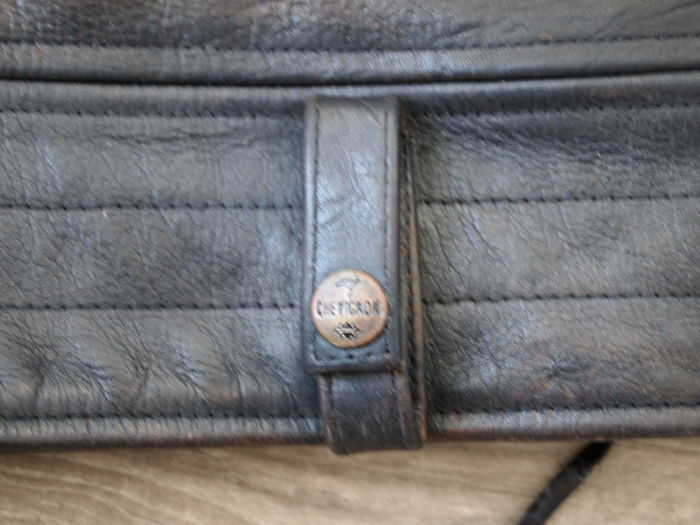 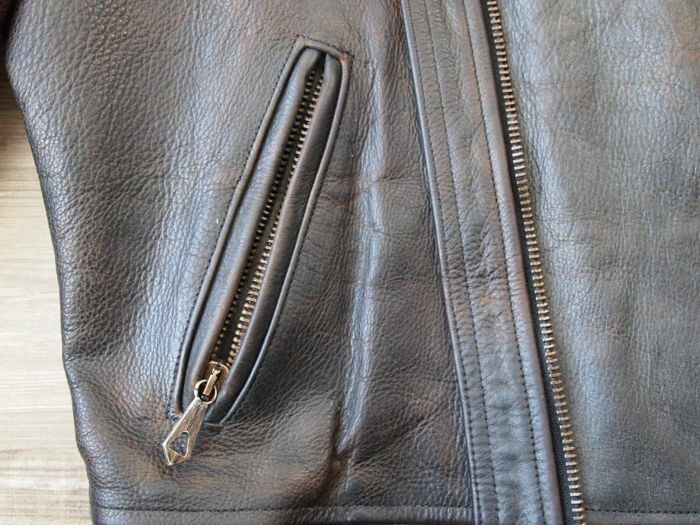 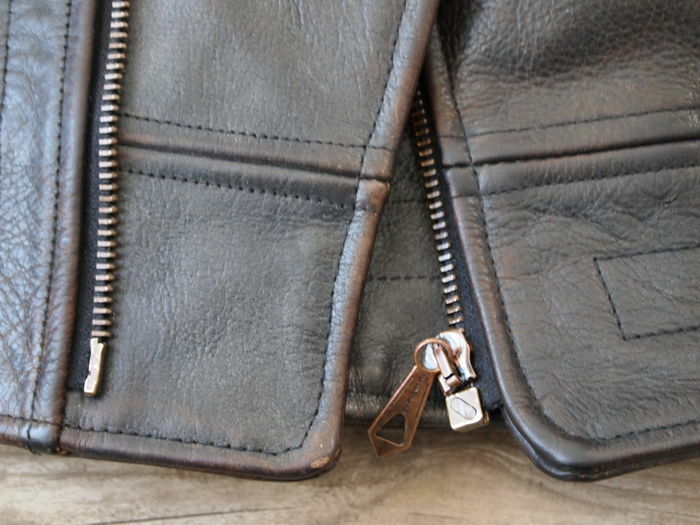 All the zippers are working smoothly,with no holes or any damage to the leather and inner (see all pictures). 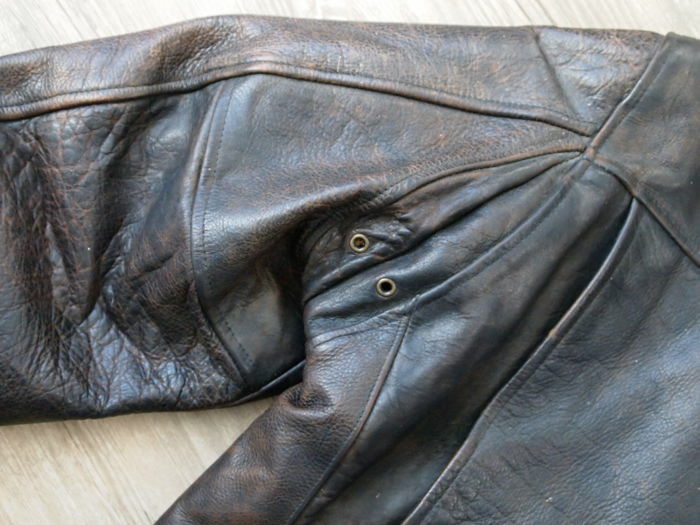 Sie können diesen Artikel auch beim Verkäufer abholen: Leeuwarden (friesland), Niederlande.